Looking to try something new? Now you can with 3 FREE ELEMIS Travel Sizes from a huge collection at timetospa when you spend just £65 or more on full size products with a brand new code this week. Terms & Conditions Apply – Subject to availability. You must spend £65 in order to qualify for your free gifts. You must choose 3 different travel sizes. 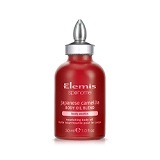 Valid only on full-size ELEMIS products. 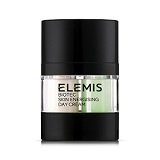 Not available on Limited Edition Pro-Collagen Marine Cream 100ml, duos, collections, super sizes, travelsizes, sale items, gift vouchers, other timetospa brands or in conjunction with any other offer. This lift effect firming night cream is formulated with a powerful blend of gardenia stem cells, arjuna and lupin, which help reduce the appearance of sagging jowls, cheeks and chin. Scientifically proven to help increase cell energy, this day cream harnesses the patent-pending BIO-ENERGY™ complex of encapsulated Zinc and Copper. This energising wash-off cleanser kick-starts the BIOTEC system, preparing the skin for optimum performance, creating a dynamic environment to activate the BIOTEC skin energising moisturisers. 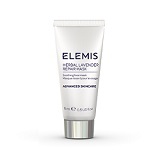 Elemis Balancing Lime Blossom Cleanser is a uniquely textured, fresh-scented lotion brimming with active extracts of Lime Blossom to help naturally balance and repair the skin. 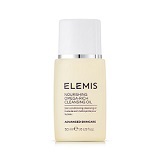 Elemis Time for Men Deep Cleanse Facial Wash is a fast-acting gel formulation and the ultimate daily facial cleansingsolution for all skin types. 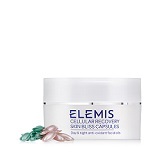 Elemis Cellular Recovery Skin Bliss Capsules contain pure Moringa Oil with its unique anti-ageing properties to dramatically renew skin elasticity and skin youthfulness. 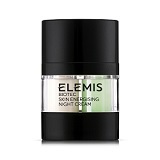 This energising night cream is powered by the patent-pending BIO-ENERGY™ complex of encapsulated Zinc and Copper. 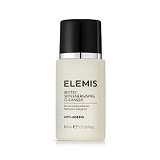 The Elemis Sp@Home Body Exotics range is about indulging in the most exquisite ingredients from around the world and restoring daily equilibrium.